Maybe this can explain why I find videogame criticism so difficult or at least so alien for me, with my background in cinema: it is the only form of criticism relying both on what the critic hasn’t experienced himself and on an object that will appear differently for each player. The videogame critic has to write about an object so fluid that nobody else (not even him) will encounter it again the same way he did. Sure, seeing a movie in the (usually) respectful ambiance of an almost empty morning press screening is clearly different from seeing the same movie the night of the premiere in a crowded frantic theater, or as seeing it in the comfort of your own sofa, but we’re more or less able to abstract the physical context of our encounter with a movie and concentrate our criticism on the moving images themselves, even if we know that this context contributed to our appreciation. And sure, every individual brings his own experience to an artwork, but in traditional art forms, these subjectivities still confront the same immutable object made by the artist; an artwork may exist only once it’s interpreted, and therefore the same object may produce different artworks (like I wrote before, my Citizen Kane is not your Citizen Kane), but every spectator should be able to describe the same physical object that sustains each of their unique interpretation. Indeed, an interpretation is only as good as its capacity to properly encompass the whole of an artist’s work, in the most coherent way possible, so it’s not an entirely subjective process. If we come back to Arthur Danto’s equation which I quoted in my last article, normally an artwork (W) results from a subjective interpretation (I) of an immutable object (o): I(o) = W. For a movie, the object (o) can easily be defined by every spectator, because all of them will see the exact same moving images with sound, so the influence of context remains minor. In a game though, this equation doesn’t really stick, because this object (o) is not the same for every player, each playthrough being unique, even in a simple platformer or in the most linear wannabe-cinematic shooter (no two players will press the same buttons at the exact same time at every moment); or, more exactly, the rules of the game constitutes this fixed object (o), but the player doesn’t have a direct access to them (or at least all of them), so he can only gain an approximate knowledge of these rules. This is where videogames differ from traditional games: in order to play chess with a friend, we both need to know the rules, or else we’re not really playing chess. But when I play a shooter, I never know exactly how the game calculates the damage I can inflict with my gun, and anyway there’s too many variables: the ballistics, the physics, the type of gun and ammo I’m using, the type of armor (if any) the enemy is wearing, if I shoot the head, the torso or the groin, if the game uses some kind of skill system, is there any possibility that the gun brakes or deteriorates, etc. I’m not even sure we can use the term “rule” in that kind of situation, something like “simulation” seems more apt, although I don’t really like that word (maybe “affordances” would be best, but I’m not familiar enough with the concept to be sure). I know approximately how these “rules” work (I know shooting the head will be more lethal than shooting the feet, or that a shotgun works best at close range, because that’s how it works in real life, or because I played other shooters before), but I don’t know exactly how the game implements them. Even in a simple game like Pong, I know the rules of the scoring system (my opponent doesn’t stop the ball, I get one point), but I do not know exactly how the program calculates the trajectory and the speed of the ball; I can only guess the trajectory depending on the angle from which the ball hit my paddle. The point is: when I play a videogame, I have no direct access to the “rules” (I’ll just stick to that word for lack of a better one), and for the most part I can only “feel” them, through the representational aspects of the game. We say a videogame “feels” right when the controls are responsive, but more importantly when each action we make find an adequate representation on screen. In a game of chess, I need to know exactly how each pieces move; how I move them (am I clumsy, swift, hesitant, etc.) is unimportant to the comprehension of the game (my opponent can interpret my gestures though, but this has nothing to do with the rules themselves). A game of chess doesn’t “feel” right: it is right. In a sense, more than playing a videogame, we live through its gameplay, discovering as we advance in our playthrough how the simulation works, how to move in this particular virtual space, and how this space reacts to our presence. The unique expressiveness of videogames comes mainly from the interrelation between this obscure gameplay (obscure in the sense that we do not know the rules governing it) and the virtual space in which it takes place. 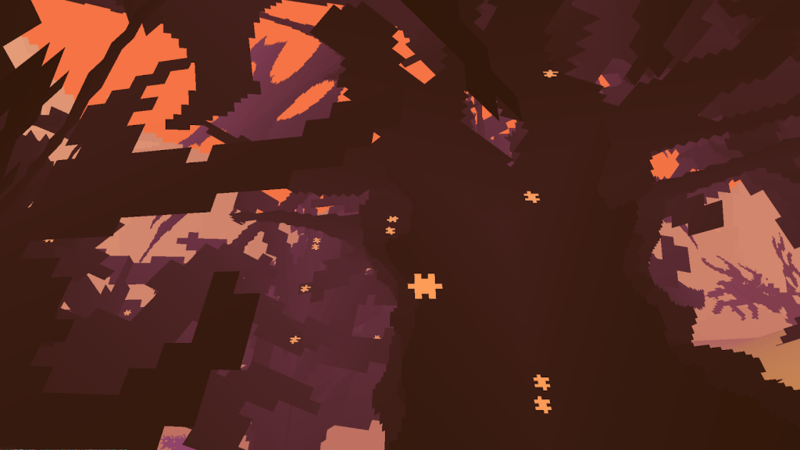 Let’s take a game like Proteus – well, not everyone will agree that it’s a game, but I’ll say it is undoubtedly a videogame, which is not the same thing (a little aside: I think it would be wise to understand videogames on their own terms, and see traditional games only as a close parent, but not as the same individual). 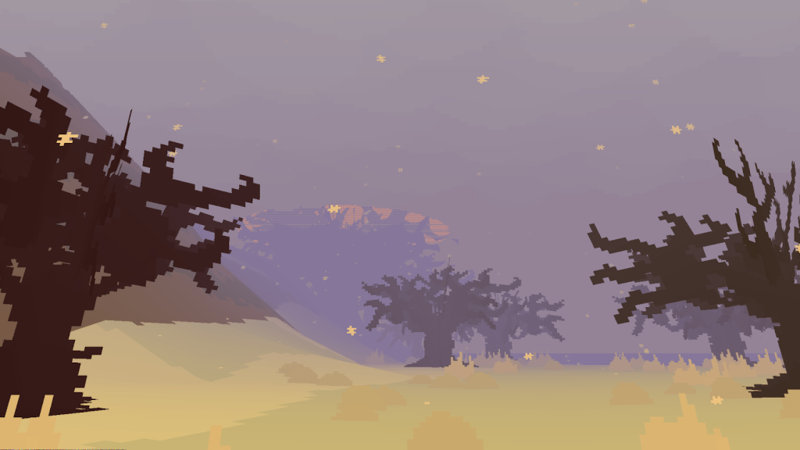 By reducing its gameplay to the bare minimum (walking and sitting), Proteus gets to the core of what a videogame is: the exploration of a virtual space sustained by unknown rules. 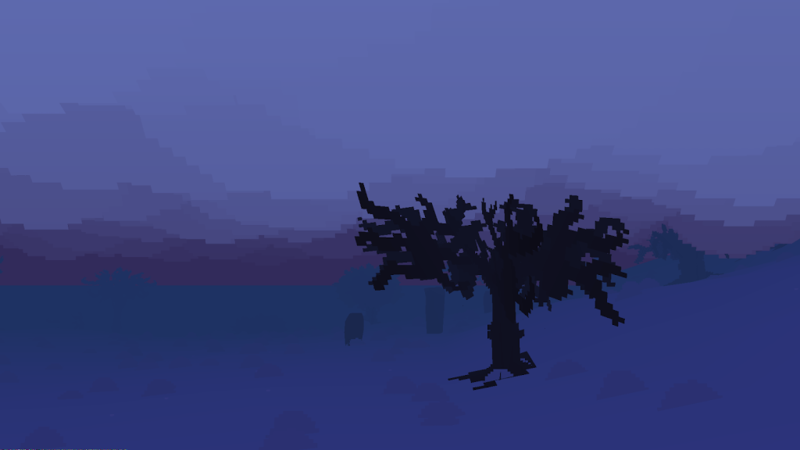 Just like every playthrough of any game is unique, Proteus randomly generates a new island each time you start the game, an island that will disappear under the clouds as you float over it at the end, never to be seen again. 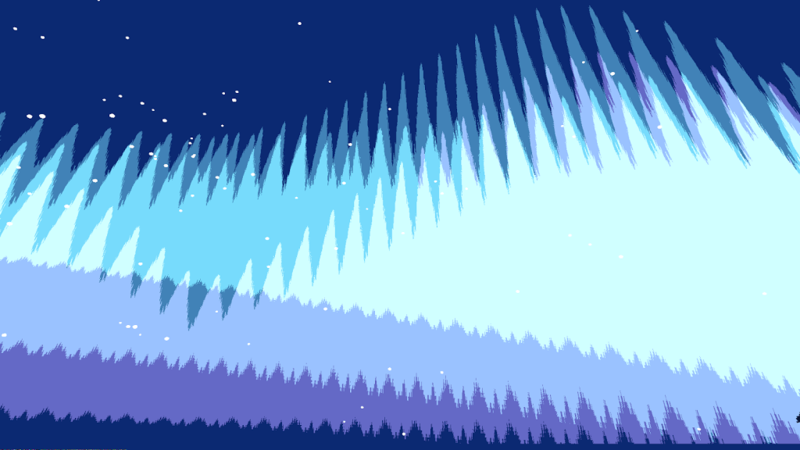 As the title implies, it’s a game about change, about the passage of time (Proteus is a formless Greek deity, as elusive as the sea where he lives). The gameplay is kept to a minimum because the game is not about you, the player, but about the world of the game you inhabit, unlike most videogames that instead focus on how your actions are shaping the world. Only during winter does the island become still, but only if you stay below the clouds: as soon as you climb to a higher point, the sky appears again, the setting sun gently spreading its rosy hue on the clouds at your (virtual) feet, moving, alive, nothing like the dark, motionless and heavy mass they were from underneath. But obviously Proteus is not the world: it’s a virtual space, a representation made possible by the unique vision of its artists, Ed Key and David Kanaga. The island isn’t made to be a representation of the real world, but an incarnation of the movement of change itself; that’s why we can describe it as an impressionist game: not because of its color scheme, or its low-res visual style not unlike the blurred shapes typical of impressionist’s paintings, but because the game is trying to emphasize the very instability of our impressions, their volatility, just like the impressionists aimed to do. In a sense, the island is the artist’s conscience in movement, into which another conscience, the player, can enter and try to understand by interacting with it. 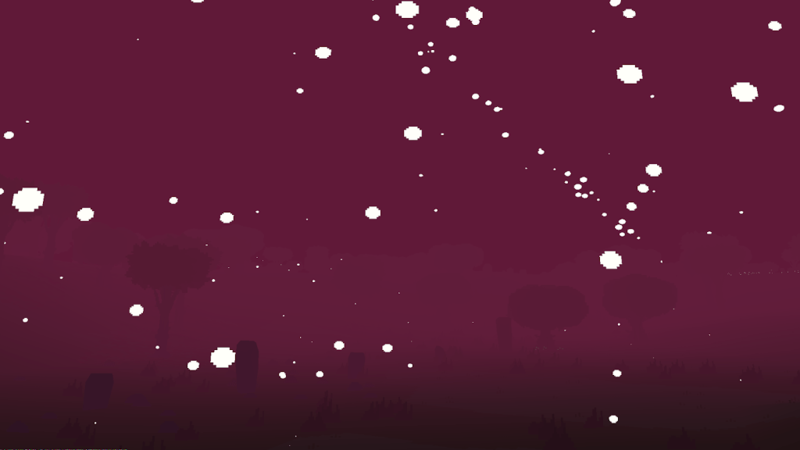 When I freeze a moment in Proteus, I’m not taking a picture of the world, but a picture of a picture of the world. Through these pictures, I’m commenting on the work of Key and Kanaga, by trying to translate my impression of their game. Taking a picture is a form of criticism, because it’s an image of my experience of the game that I try to share by exposing it (I’ll say I’m not very fond of my postcards though: I don’t think they properly represent the alien beauty of this game, especially a moment like those northern lights, which have to be seen in movement to be fully experienced). 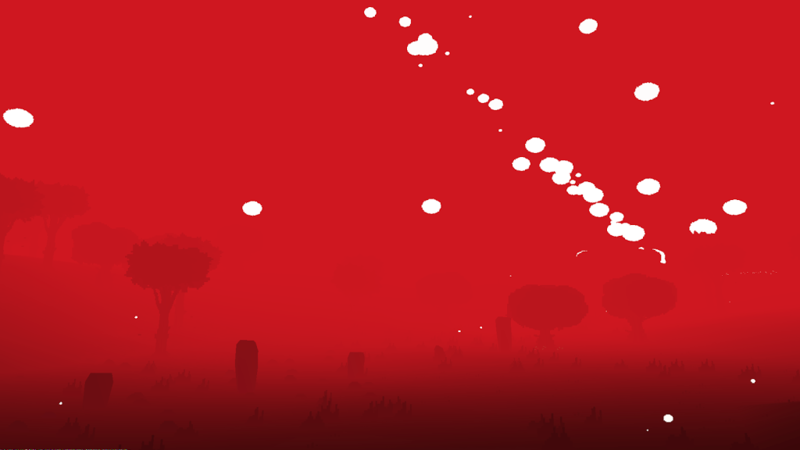 It may be why videogame criticism often consists of a narrative of the critic’s playthrough, as we can see a lot with games like DayZ and this kind of emergent gameplay: the elusive nature of videogames forces the critic to find a way to translate it in a stable form, and narration (like pictures in Proteus) is one way to do so. How can I approach something as elusive, unique, and ever-changing as a videogame? How can I review a piece of software that I haven’t completely experienced? Or how can I share an artwork that only me will ever see in the precise way I encountered it? I thought I would begin this text with these questions, but they’re more appropriate as a conclusion, since I don’t have any definite answer for them: my article may seem to lead to the idea that the videogame critic (or any player really) is a sort of artist himself, restoring order in the virtual worlds of the videogame’s artists through his writing, and while I think there is some truth to that idea, it would be wise not to push it too far. After all, some modesty is in order: if videogames tend to encourage the player’s creativity, especially in an open-world design, we should not forget that the player’s freedom will always be restricted by what the design allows. And, more importantly, the artist’s creation is a unique window on the world, whereas the narrative, or the pictures, of a critic’s playthrough is only a retelling of something already existing. 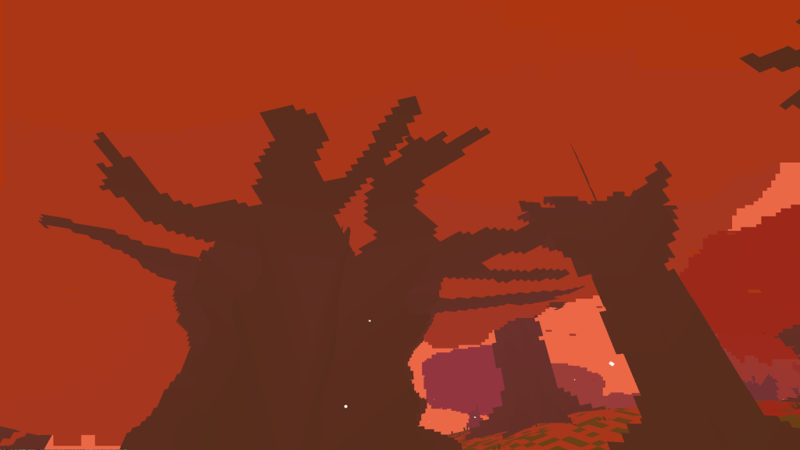 That’s why my postcards of Proteus seem kind of void: not only are they a poor substitue for the actual experience of the game, because of their lack of movement, they’re also a representation of a representation. So, as a critic I should not focus on what I did (these postcards) with the tools at my disposal, but on how the artist allowed me to be creative: it’s the possibility of sharing postcards which is meaningful, not my postcards. 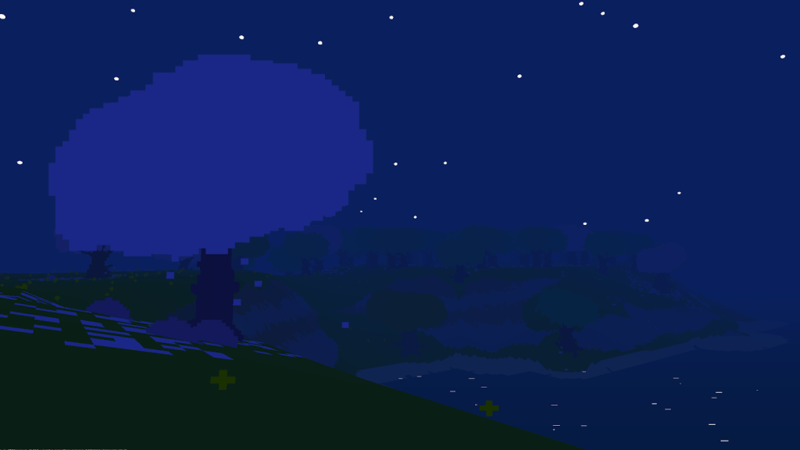 Like I wrote above, this action of taking a picture in Proteus represents an idea of art, of the nature of art, but by executing this action, I do not become an artist, because I’m only acting inside a virtual world, following pre-defined parameters. 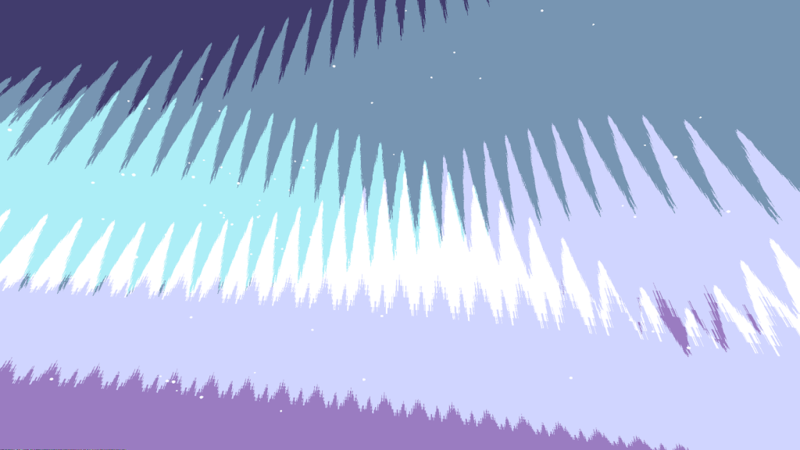 My actions are mere illusions; meaningful ones (in the context of Proteus at least), but illusions nonetheless. Chris DeLeon on Games Are Artificial. Videogames Are Not. Games Have Rules. Videogames Do Not.